The former state senator thought she had problems before. Now the charges are really piling up. Another promising political career down the drain. 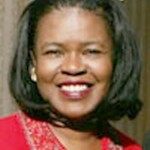 BOSTON — Former state senator Dianne Wilkerson began taking bribes in exchange for political favors in 2002, five years earlier than authorities originally alleged when she was arrested last October in an alleged extortion scheme, according to a new federal indictment announced yesterday. A grand jury handed up a superseding indictment yesterday that also added 23 additional charges against Wilkerson for activities that led to her previous indictment. Those charges did not cover the additional bribes that were alleged yesterday. The Roxbury Democrat resigned in November following her original indictment, which accused her of accepting eight bribes totaling $23,500 to secure a liquor license for a nightclub and legislation to pave the way for a commercial development in Roxbury. Posted: 4/8/09 at 8:50 AM under News Story.